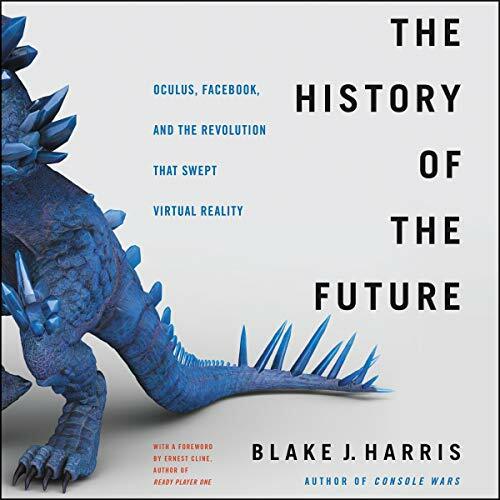 The dramatic, larger-than-life true story behind the founding of Oculus and its quest for virtual reality, by the best-selling author of Console Wars. From iconic books like Neuromancer to blockbuster films like The Matrix, virtual reality has long been hailed as the ultimate technology. But outside of a few research labs and military training facilities, this tantalizing vision of the future was nothing but science fiction. Until 2012, when Oculus founder Palmer Luckey - then just a rebellious teenage dreamer living alone in a camper trailer - invents a device that has the potential to change everything. With the help of a video game legend, a serial entrepreneur, and many other colorful characters, Luckey's scrappy start-up kick-starts a revolution and sets out to bring VR to the masses. As with most underdog stories, things don't quite go according to plan. But what happens next turns out to be the ultimate entrepreneurial journey: a tale of battles won and lost, lessons learned, and never-ending twists and turns - including an unlikely multibillion-dollar acquisition by Facebook's Mark Zuckerberg that shakes up the landscape in Silicon Valley and gives Oculus the chance to forever change our reality. Drawing on more than 100 interviews with the key players driving this revolution, The History of the Future weaves together a rich, cinematic narrative that captures the breakthroughs, breakdowns, and human drama of trying to change the world. The result is a super accessible and supremely entertaining look at the birth of a game-changing new industry. PLEASE NOTE: When you purchase this title, the accompanying PDF will be available in your Audible Library along with the audio.